I think we all would like a career and life filled with deeper meaning and value. But many years ago, during a life slump, I learned that you don't need to change jobs or your life in order to get that. Deeper meaning and value come from service—to your higher power, mankind, your ideals, whatever. And everything we do is service. Or it can be, depending on the way you do it. The way society thinks, we think service is about WHAT you do. Being in the military, working as a social worker or volunteering are service, for example, because they directly serve others or some ideal. But being a computer programmer, advertising executive or bus driver are not. Those are just jobs. While the idea of service can sometimes be built into your job, service isn't a job. It's an attitude. Take the military for example. It's literally called "the service". But if you sell secrets, avoid assignments, undermine your team, complain all the time, etc....it's not service. The military tends not to admit many people like that, thankfully. They tend to admit people with a deep passion for what they do, a desire to protect our country, a strong work ethic and courageous follow-through. It's not the job that's service. It's the way the job is seen by the people who do it and the way they get it done. Many years back when I was still starting on my spiritual journey, it bothered me that, although I really enjoyed my career, it didn't really serve anyone or anything. Like so many other jobs, it was just part of capitalism...part of making money for "the man." But then it hit me that I help smaller businesses succeed. I offer the same (or better) level of thought and creativity that they'd get at an advertising agency at less than half the cost. And if a smaller business can get noticed as well as a large business, that keeps the bigger businesses from getting all the money and building monopolies. Meanwhile, I'm helping consumers find other options to consider—usually more innovative, service-oriented options. Let's face it, people and businesses need "stuff". And you can't find the "stuff" if you don't know it exists. Being someone who helps you discover your options is service. Helping smaller businesses succeed is service. Making senior-level thinking available at affordable prices is service. And the more I consider my job service—as a needed part of keeping society healthy, happy and moving forward—the more reverence I tend to put into it. The more passion I have for it. The better my attitude. The more of a "mission" I feel I'm on. The better the energy I can wrap it all up in. 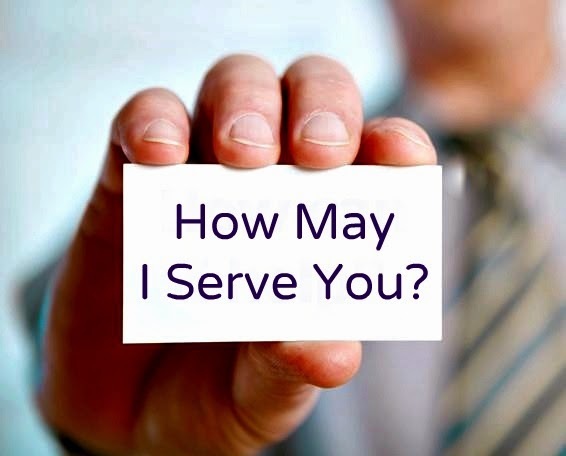 Everything you do, whether you're an accountant, administrative person or CEO is service. The only differences between a job and service is a) seeing how what you do serves and b) treating what you do with service and reverence. And this extends beyond your job to running errands that keep the household going, planting flowers in your garden to make the neighborhood pretty—even just sitting on your front stoop and smiling at passersby is service. We have the potential to make everything we do service, to treat everything we do as sacred and to move through life in reverence. There doesn't have to be a special time or special circumstances. Right now and right here work just fine. You don't have to search for ways to add deeper meaning to your life. You don't even have to change anything you're already doing. You just have to change the way you see what you're doing. Once you see how important everything in your life is to the greater good, you'll just naturally serve. Bannerizer makes it easy for you to promote ClickBank products using banners, simply go to Bannerizer, and get the banner codes for your favorite ClickBank products or use the Universal ClickBank Banner Rotator to promote all of the available ClickBank products.